Rehabilitation therapy helps you fully recover from an injury or disease by strengthening your musculoskeletal system. Paul Brock, DC, is a board-certified chiropractor dedicated to the principle that an aligned spine is the first step toward achieving mind-body harmony and overall health. 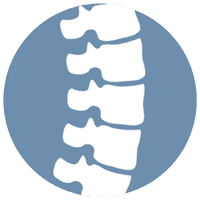 If you live in or near Orange County and you’re ready for rehabilitation therapy, call Brock Chiropractic in Tustin, California, or use the online form to set up a consultation with Dr. Brock today. When do I need rehabilitation therapy? If you have suffered an injury or trauma that limits your motion or impairs the healthy functioning of your body, you may be a candidate for rehabilitation therapy. While injuries are most common in people who engage in high-risk competitive sports, any recreational activity puts you at risk for straining or injuring your spine, joints, bones, muscles, ligaments, tendons, and other body tissues. Can I treat my injury myself? As soon as you or your children are injured or suffer any trauma, you should begin treatment to minimize the impact of the injury. Minor injuries, such as sprains and strains, can be treated with the RICE protocol: Rest, Ice, Compression, and Elevation. Minor injuries to the head, neck, or spine, or injuries whose pain persists after RICE should receive immediate medical care. Severe injuries should receive immediate medical attention. How does a chiropractor perform rehabilitation therapy? He may also provide you with at-home exercises and strengthening plans. When should I see a chiropractor after an injury? If you are engaged in high-risk activities, Dr. Brock recommends regular chiropractic adjustments to help keep your body in homeostasis, reducing the chance of injury. If you suffer an acute, severe injury or trauma, or experience dizziness or nausea after the injury, you should seek medical care immediately. If your injury is mild but interferes with functioning, or if the results of a treated acute injury persist, Dr. Brock is happy to consult with you. During your consultation, he evaluates your injury, makes recommendations for treatment, and advises you on lifestyle adjustments to help keep your body healthy and strong no matter what activities it performs.